Mostly everyone has their favorite collection of CD’s or DVD’s in which they stored their favorite songs, videos, files, games etc. Some of the people also converted their marriage videos cassettes into CDs or DVDs. CDs have overtaken the trend of cassettes due to its high quality and large storage capacity. Many of us also record our memorable moments in these CDs to watch it later but sometimes when we want to watch our old or favorite videos, it does not play because of scratches on the CD and DVD. 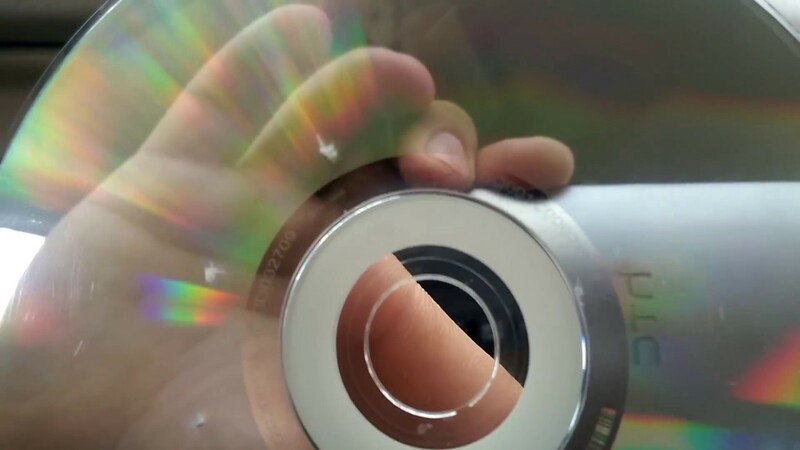 Majority of people think that CD or DVD is of no use once it gets scratches but there are some bizarre methods or techniques by which you can remove scratches from your CD to make it play without any disturbance. So, if you have scratched CDs or DVDs in which your memorable moments are captured then you can try some of the cleaning methods to make your CDs like a new one. To remove the scratches from the CDs and DVDs you will need a regular toothpaste, water, and a washcloth. Hold your CD in one hand and coat the CD with toothpaste in a circular motion. After that allow the CD to dry for 5-7 minutes. Once it gets dried, rinse it by holding it under water and dry it with a washcloth or soft towel. You should keep in mind that do not try wiping the CDs in a circular motion, always wipe it from inside to outside. The first thing is to rinse the CD in the running water with a baby shampoo and after that rinse it with a soft cloth. Once the CD gets fry, polish it with a soft microfiber cloth to make the CD free from dust or debris totally. After that, put 1-2 teaspoon of peanut butter on a soft cloth. Apply it on CD by rubbing it from center to edge. Clean it after some time to make your CD working. This is the easiest way to clean your scratched CD. You just need a clean cloth and a solution of water and baby shampoo. To clean the CDs or DVDs, dip your cloth into the solution and wipe the CD clean in a center to outside method. Don’t wipe the cloth in the circular motion as it can damage your CD. Once you apply the solution on Cd, rinse the CD under the water. Wait for CD to dry and after that wipe it off with the soft cloth. To clean your scratched DVDs or CDs quickly, you can use a furniture polish. You just need to spray a little amount of polish on the CD and wipe the CD gently with a micropore cloth like a cloth used for sunglasses. When you apply the polish to your CDs, it will fill all the scratches to make the CD playable. By using a microfiber cloth, wipe off the CD. These microfiber cloths are the best cloth to clean the CDs and DVDs as they have a tight weave of the cloth. It attracts dust and helps it from scratching the surface of the DVD. An eyeglass cleaner contains a rubbing alcohol which is good to clean anything. The special cleaners which are made for cleaning the CDs are also made up of the same substances as in eyeglass cleaner. Like furniture polish, use a metal polish and apply it on your CDs and DVDs until the deep scratches are gone. Once you applied the polish on the whole CD, rinse it after some time and dry it with soft eyeglass cloth and your CD will start playing again. If you want to restore your damaged or scratched CD or DVD then apply the wrap of banana. Apply in a straight line from center to the outward of the CD which covers all scratches. After that rinse with normal water and ait it to dry for 5-7 minutes. After this, wipe off your CD with a soft cloth to remove any excess stain and you will be able to play your damaged CD again. So, these are some of the home remedies that you can try at home to clean your damaged and scratched CDs to keep your favorite moments life-long. Maybe these remedies don’t work on some CDs but if a little try can save your memorable moments captured in CD then there is no harm to try these things once. If they worked, great, if not, you will lose nothing as it is already damaged.